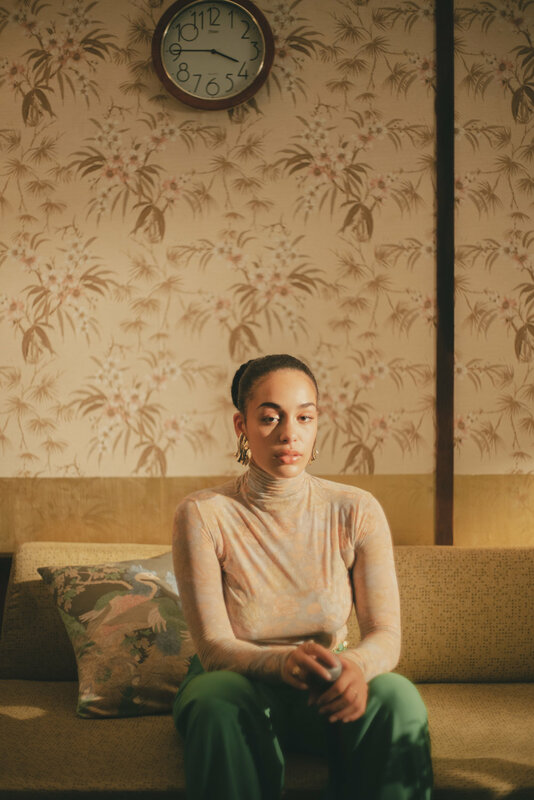 VEVO Premieres New Live Music Video for Jorja Smith's "February 3rd"
Jorja Smith presents a new gold-drenched music video for her single, “February 3rd”, released exclusively through Vevo. Smith’s characteristically soulful song incorporates childlike elements, and evolves with added layers of beats and jazzy instrumentation. The video is confined to a television screen, in which Smith performs what feels like a warm, intimate house show, accompanied by her band. She is elegant and distant at first, then proceeds to sing directly and confidently into the camera. In the end, the larger set is revealed, removing the audience from the illusion of the close quarters in what felt like Smith’s childhood home. Take a look and a listen and get your weekend off to a good start.